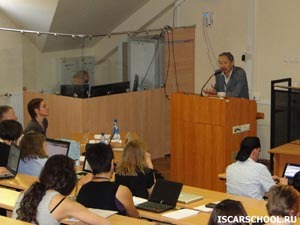 From Sunday, 20 June, to Thursday, 24 June 2010 the 1st ISCAR International Summer School for PhD Students took place at the Moscow State University of Psychology and Education (MSUPE). Titled ‘Cultural-Historical Research Methodology: Rethinking the Past for the Future’ this event provided the possibility for 28 PhD students from all over the world to deepen their knowledge of cultural-historical and activity theory, to discuss their work with renown professors and become colleagues and friends. The participants’ group consisted of students from Russia (10), Brazil (5), Mexico (1), China (1), USA (2), Australia (2) and various European countries (7). While the official Summer School language was English, many other languages were spoken between the participants such as; Spanish, Russian, Brazilian, French, German, Italian, Finnish and many more. 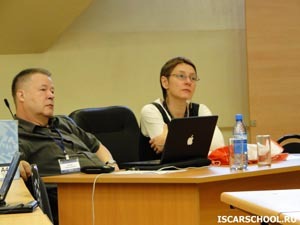 The Summer School was organized by Vitaly Rubtsov, Arcady Margolis, Natalya Ulanova (Russia) and Michalis Kontopodis (Germany/ ISCAR Secretary). Many other staff members and students from the MSUPE helped with the organization, for example Tatyana Sokolova worked for the school’s webpage and Anna Shvedovskaya was responsible for general organizational issues. Two to three russian students were chosen to assist groups of 4 to 5 international students with all practical issues—which was a great help and enhanced interaction among local and international participants. 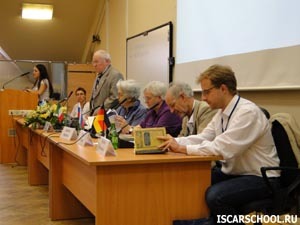 Invited professors were Clotilde Pontecorvo (Italy), Harry Daniels (UK), Liudmila Obukhova (Russia), Victor Gurujapov (Russia), Pentti Hakkarainen (Finland), Milda Bredikyte (Finland), Georg Rückriem (Germany) and Nikolai Veresov (Finland). Unfortunately Vitaly Rubtsov, host of the Summer School, was unable to participate because of an accident. We have heard that he is better now, and once again, we want to thank him for his commitment and wish him to get well soon. Thanks to the Russian host university both participation and accommodation were free in order to allow people from different regions of the world to participate. All invited professors as well as all PhD Students were very impressed by the excellent level of organization and academic environment of the Moscow State University of Psychology and Education which fulfilled the highest international standards as well as provided the best context for academic exchange on cultural-historical psychology and discussion about important educational as well as methodological issues. Sunday morning began for most of the participants with a tour at the Muscovite city centre and a guided excursion to the Moscow Kremlin and its Armoury. After lunch, the participants gathered in our lecture room for the next five days: the Vygotsky Auditory at MSUPE. After a warm reception was given by Natalya Ulanova and Michalis Kontopodis and the pro-rector Yuri Zabrodin welcomed us at MSUPE. Then Clotilde Pontecorvo presented her paper ‘The development of arguing competencies in the family and in school context’. She elaborated upon different discursive tools of argumentation children use in family dinner table conversations compared to school interactions using a cultural-historical theory combined with a discourse-analytical methodology. Monday was another exciting day with “tingling experiences” (quote email Adelmário Matos) as Harry Daniels read his paper on ‘Invisible mediation the formative effects of everydayness’. This paper dealt with issues of pedagogical styles that constrain or expand learners’ abilities to interact with and in their everyday world. This paper was followed by the presentations of the first seven very courageous PhD students. They were called upon to share concerns encountered within their thesis process. We applauded: André Machado Rodrigues, Glauco Silva, Maria Fourpome Brando, Jelena Radisic, Giuseppe Ritella, Annoesjka Boersma, Louise Hawkins for their very interesting presentations on various topics created within the cultural historical approach. After lunch Liudmila Obukhava read her paper ‘About three types of investigations in Galperin’s theory step by step formation of mental actions’. This paper accentuated a concern towards micro movements in pedagogical approaches as opposed to massive leaps that left the child unable to imagine the next step. After a tour of the MSUPE and a presentation of the Journal ‘Cultural-Historical Psychology’ the students were let loose to explore the town and others to prepare their presentations for the following day. Their anticipated early evening was however disturbed by a late night invitation to beer for everyone and discussions until 2am at the students’ hostel. Tuesday, early in the morning, Nikolai Veresov and Georg Rückriem immediately attracted everyone’s attention by listing several publications of respectively Vygotsky and Leontev, that one might read in order to attain a better understanding of their work. Then, Victor Gurujapov explained the basic concepts of Elkonin’s and Davidov’s psychological theory of learning activity, and showed us by means of a very nice classroom video how these concepts were put into school practice. This was followed by another seven students who had the opportunity to explain their PhD-study along with a request for feedback: Adelmário Matos, Ekaterina Rybka, Molly Deich, Tatyana Sokolova, Alice Harnischfeger, Nikolay Lukin, and Sofya Bashmakova. Georg Rückriem responded with a talk about the six logical systems of a dissertation he distinguishes: the personal system, ‘Gegenstand’ or object system, the logic system of investigation, of presentation, application, and the advisory team. Many students found this logic system overview very useful. The evening started with a stroll through Park Kultury, and ended with a beer and – after Brasil’s soccer victory – with salsa in the students’ hostel. Wednesday began with a mind opening presentation by Pentti Hakkarainen entitled ‘Methodological problems of doing research on developmental transitions’. This paper argued for the need of double stimulation and social relations as genetic experiments that portrayed development as a transition through various stages. Seven other students then presented their studies: Lindabel Delgado Cardoso, Denise Shelley Newnham, Andrea Karsten, Maria Safronova, Helene Gudi, Ada Oi-Ying Lee, and last but not least Sue March. After lunch, Milda Bredikyte’s paper ‘Cultural environments of early developments: how to support the acquisition of cultural tools’ was an awe inspiring demonstration of how children’s creativity can be expanded upon through the use of double stimulation. The day closed with small instant workshops about several difficult to define core concepts of cultural-historical theory (development, sign, relation and ‘perezhivanie’). Both students and professors highly appreciated this opportunity to interact more freely. Some students were taken to visit the famous Institute of Psychology where Vygotsky, Luria and Leontiev worked, sat and lectured. It was a magical feeling as Georg Rückriem embellished the atmosphere with stories of the many brilliant Russian minds that had interacted within that auditorium. On Thursday Georg Rückriem invited us to think along with him about media revolution. Without the aid of any media Prof. Rückriem incited everyone to help answer questions like: ‘How is digitalization to be considered, do we need a transition theory, and if so why, and how could one develop such a theory?’. Additionally that morning Bronya Calderón, Miriam Moramay Micalco Méndez, Elena Pogodina, Marina Kelina, Svetlana Perminova, Anna Lebedeva and Olga Eliseeva presented their work and posited a question requiring help. This procedure was much appreciated: “it was wonderful to receive valuable feedback about my research plan and meet and exchange ideas with so clever and nice colleagues” (quote email Giuseppe Ritella). In the afternoon Nikolai Veresov talked about the problem of development in cultural-historical theory: the subject matter and the method, with a main emphasis on the requirements for Vygotsky’s genetical-experimental method. 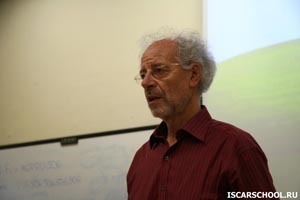 The lecture gave an overview of Vygotksy’s thinking, that many participants had hoped for. 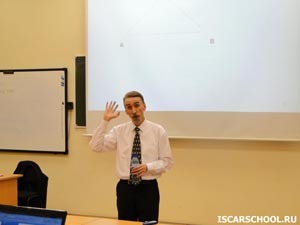 Finally, Michalis Kontopodis presented about ‘ISCAR: Its History, Future & PhD Participation’. ISCAR is a horizontal society, kept alive by many people world wide. Until this summer school, no special events had been organized for PhD-students. 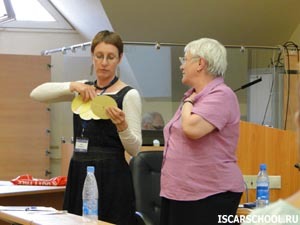 More events are on the stocks, like the pre-conference of the ISCAR congress 2011 in Rome. In order to maintain such PhD-activities, everyone is invited to posit and organize ideas. Furthermore, the Moscow Journal ‘Cultural Historical Psychology’ will release a special issue, wherein some of the best works of the participants and presenting professors will be published. Thus, the closing of the summer school turned out to be a great start of further cooperation. A social network for ISCAR PhD Students and Early Career Researchers was built and you are as well most welcome to participate. For this you should send an email to Louise Hawkins: l.hawkins@cqu.edu.au . She will then send a personal invitation to you.